Africa, is a mysterious land to many people’s eyes. 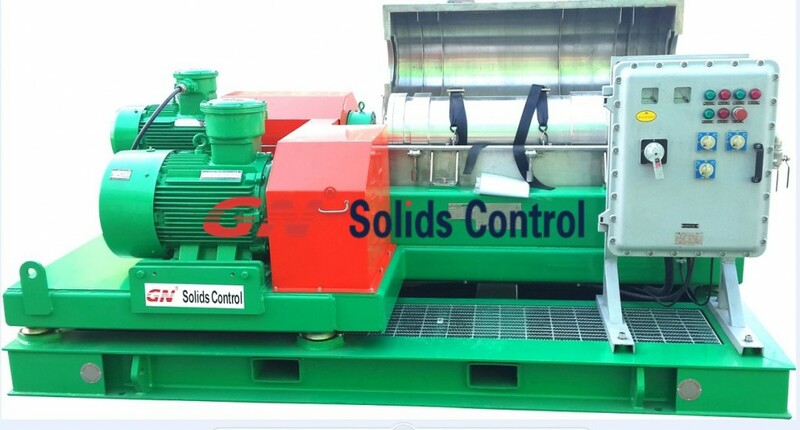 But the Oil and Gas linked GN Solids Control to the African countries via the good quality solids control and waste management equipments and responsible service of GN commissioning team. These 10 sets of GN Decanter centrifuges are ordered by a large African drilling company, they are ready for dispatch now and will be shipped to Africa in recent days. GNLW363 is most popular product of GN. 14 inch bowl diameter decanter centrifuge is most popular size internationally, because: 1. the treating capacity depends mostly on the bowl diameter, and such treating capacity could meet most applications. 2. In order to get a good drying result, the length-diameter ratio is better at 3, and the cost for a 51 inch bowl length is of more cost-effective during production. GN’s advantages in this model: for the same bowl diameter and specification of centrifuge GNLW363, GN Solids Control provide 4 options: 1, Economic solution: GNLW363CD, fixed speed, 2. Economic solution: GNLW363CD-VFD, vfd control panel. 3. Highest solution: GNLW363CG, fixed speed, 4. Highest solution: GNLW363CG-VFD. Customers could choose any of them per the jobsite need or per budget. GNLW363CG series decanter centrifuge: it is not only the highest GN standard centrifuge, but also, it is highest international standard centrifuge in solids control field. See what material GN chooses for this centrifuge: SS2205 for rotating bowl, SKF bearings, easily adjustable liquid level ports, most anti-wearing tiles on impeller and etc. Customers could choose per their jobsite condition fixed speed one or VFD control panel. In case of VFD control panel, the working speed could be easily set from 0 RPM to 3200 RPM. In case of fixed speed, it doesn’t mean only 1 speed only. Customers could choose 2 extra pulley and belt for another 2 operating speeds, in order to be suitable for different applications. May you need more information of GN or GN products, welcome to visit our website.